As many business processes are collaborative in nature, process leaders or process managers play a pivotal role designing collaboration processes for organization. To support the design task of creating a new collaborative business process, best practices or design patterns can be used as building blocks. For such purposes, a library of design patterns and guidelines would be useful, not only to capture the best practices for different activities in the process in a database, but to also offer the users of this database support in selecting and combining such patterns, and in creating the process design. 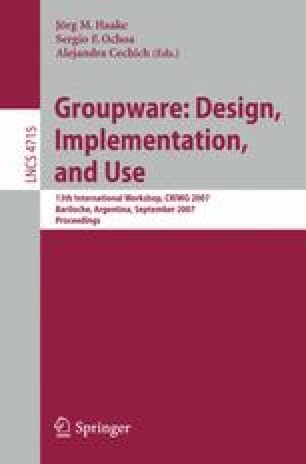 This paper describes the requirements for a tool for pattern based collaboration process design, specifically for design efforts following the Collaboration Engineering approach.